Mirvac has celebrated the start of construction at its latest premium-grade office building in Melbourne, Olderfleet at 477 Collins Street, with a sod-turning event on site. Olderfleet will be one of Mirvac’s largest commercial developments in Australia once complete and is on track to be delivered in 2020, with demolition and concrete piling already well underway. The 40-storey office tower was designed by Grimshaw Architects, rising from the unique 1880s facades of the heritage buildings along Collins Street. Deloitte will be the anchor tenant for the building, taking 22,000 square metres of office space for 12 years starting in June 2020. There is 30,000 square metres of lettable premium office space across 18 floors remaining, with strong interest from a number of prospective tenants. Grimshaw’s design incorporated a vertical village concept where the tower has been split into three separate modules to express key internal workings of the building and make strong connections with the heritage context. Deloitte has committed to the middle village within the tower, leaving the top and lower villages available. 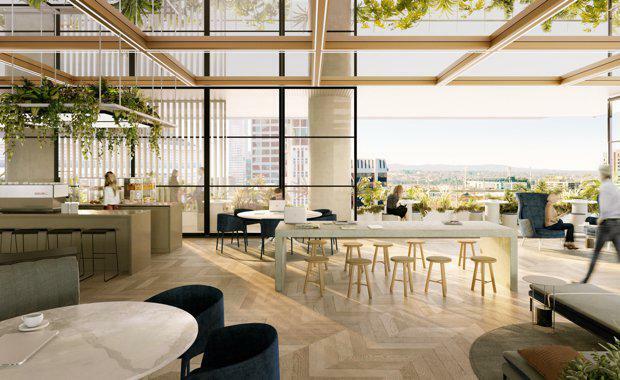 The top village, or sky rise, will have stunning views of the Melbourne CBD, with a rooftop terrace perfect for entertaining. 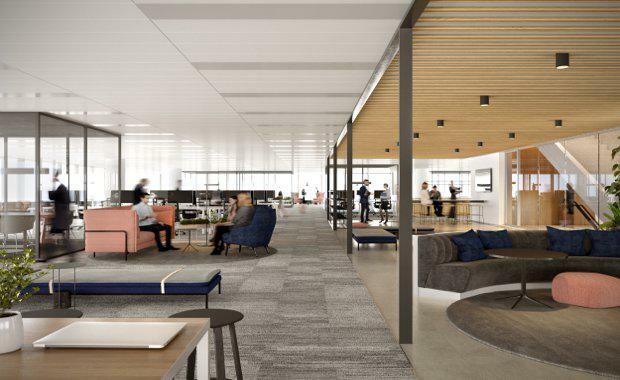 Mirvac CEO and Managing Director Susan Lloyd-Hurwitz said the development was an ambitious venture and will become an exemplar of modern day office space and working environments. “The sensitivity of the Olderfleet development incorporating the heritage façade with a modern tower was a challenge and one that has produced a great connection between the two buildings," Ms Lloyd-Hurwitz said. 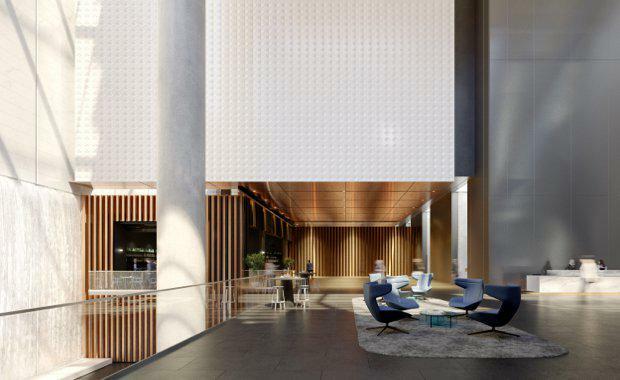 "This will become one of Mirvac’s largest commercial developments in Australia, encompassing 58,000 square metres of premium office and retail space, one that will push the boundaries of workplace innovation, sustainability and heritage integration and interpretation." The building uses large floor plates for flexibility with doors to the terrace looking onto spacious outdoor spaces. This design move allowed for outdoor terraces on each village, a rare advantage for an office building in Melbourne. Deloitte’s terrace wraps 270 degrees around the top floor of their village, making it the perfect place for meetings and their reception area. Deloitte Chairman and Victorian Managing Partner Tom Imbesi said the company was excited that construction had begun on their future Melbourne home. 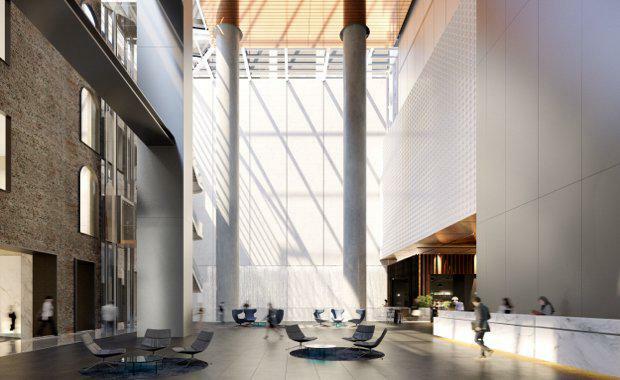 "This premium property in the heart of the CBD reflects how our people want to work: it’s inspiring, sustainable, and connected, a building that will encourage collaboration and innovation, while enabling the wellbeing of our staff," Mr Imbesi said. 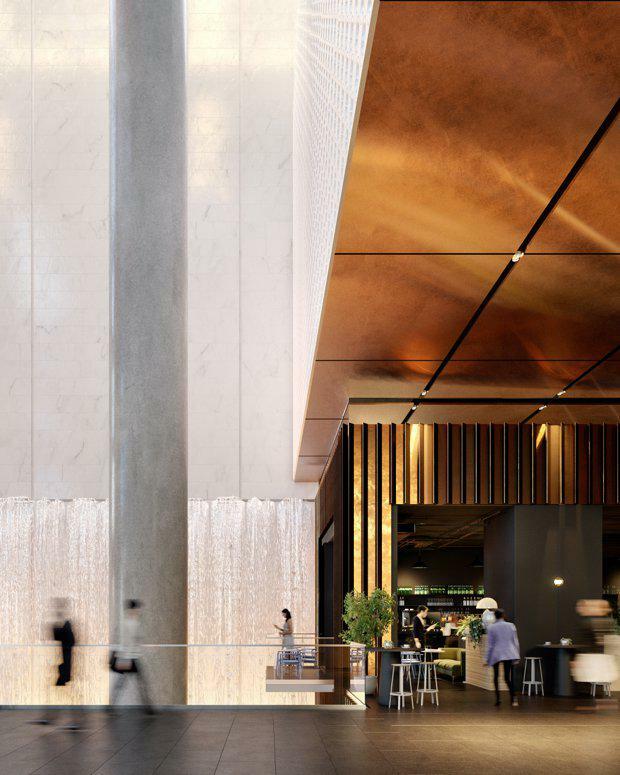 Grimshaw Partner Neil Stonell said Olderfleet presented an exciting opportunity to integrate a very modern commercial tower and forward thinking workplace technology with one of Collins Street’s most important pieces of heritage fabric. “The building brings together the latest thinking from our studios around the globe, with an internal design competition held with our London, New York, Melbourne and Sydney studios, each contributing a design for the new building," he said. 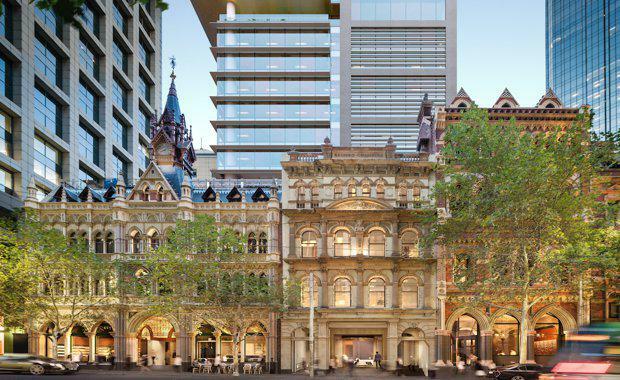 The building will have one of the largest office lobbies in Melbourne with a 30-metre-high glass atrium connecting the heritage buildings to the new office tower, providing a unique view of the heritage façade. This space will include a lobby café and a flexible business centre with meeting rooms on the lower ground floor. The office tower will rise from the heritage buildings, which will remain intact with an extensive refurbishment and modernisation of the interiors to create boutique office and retail space. These buildings were built between 1887 and 1889 and were designed by a number of architects resulting in varying Gothic and Romanesque Victorian architecture. End-of-trip facilities will be located in the basement while a gym, childcare centre and 410 car parking spaces will be located on the lower levels of the new office tower. Olderfleet is committed to a 5 Star Green Star rating, a 5 Star NABERS energy rating and is a targeting Platinum WELL certification. The sod-turning event that took place for Olderfleet was attended by Lord Mayor of Melbourne Robert Doyle, Tom Imbesi, Deloitte CEO Cindy Hook, Susan Lloyd-Hurwitz and a collection of other various development partners that had a hand in creating the new commercial opportunity for Mirvac's portfolio and Melbourne's skyline.